Veronica Beard jackets and dickeys (and pants and a couple of skirts) occupy space at Bergdorf Goodman. Photos from Billy Farrell Agency. ONE less item on the bucket list of Veronica Miele Beard and Veronica Swanson Beard: Bergdorf Goodman. The increasingly famous sisters-in-law are the names behind the four-year-old eponymous line of simple and accessible sportswear called Veronica Beard. What a nice hook! Last week, the duo celebrated the arrival of the VB + BG limited collection on the fifth floor of the famed department store with an intimate cocktail and shopping party for friends, family and well-wishers, including the affable Kelly Rutherford. Special shoppers received a custom tote bag bearing the artistic strokes of Ryan Humphrey. The up-and-coming mixed media man is best known for his appearance on the Bravo series, Top Design. Veronica Miele Beard and Veronica Swanson Beard wearing VB + BG and holding custom Ryan Humphrey tote bags. The special went to those who spent at least $1,000 on the VB + BG pieces, including the bread-and-butter VB jacket as well as the dickey, a fetching little “shirtlet” that zips into and out of the jackets. 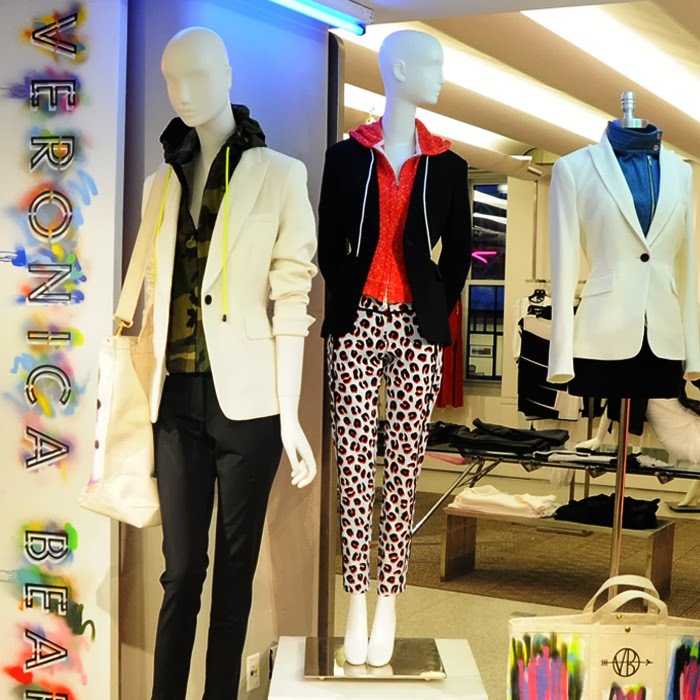 Visit http://www.veronicabeard.com to learn more about VB + BG and Veronica Beard.